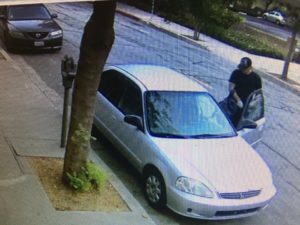 Amid a rash of auto thefts in San Luis Obispo and South County, police are zeroing in on a 37-year-old man who is evading law enforcement. Since the beginning of July, the CHP and the San Luis Obispo, Arroyo Grande, Grover Beach and Pismo Beach police departments have taken a combined total of 40 stolen vehicle reports, according to SLOPD. The majority of the vehicles stolen were late 90’s to early 2000’s Honda Civics and Accords. Police say the thefts marked a sharp increase in reports of stolen vehicles. Investigators from the four police departments and the CHP collaborated to identify the person responsible for the rise in thefts. Police determined that Zachary Hamlin, a SLO County resident, is responsible for several of the stolen vehicles, according to SLOPD. Additionally, there is currently an outstanding warrant for Hamlin’s arrest for a probation violation stemming from an unrelated auto theft conviction. Investigators have thus far been unable to locate Hamlin. Crime Stoppers is offering a $1,000 reward for information that leads to Hamlin’s arrest and conviction. 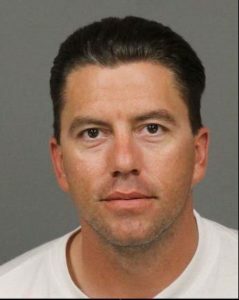 Anyone who knows of Hamlin’s whereabouts or has information related to the rise in vehicle thefts is asked to call SLOPD at (805) 781-7312, a local police department or Crime Stoppers at (805) 549-STOP.